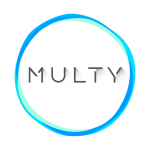 How to enable/disable the daisy chain feature via Multy App? 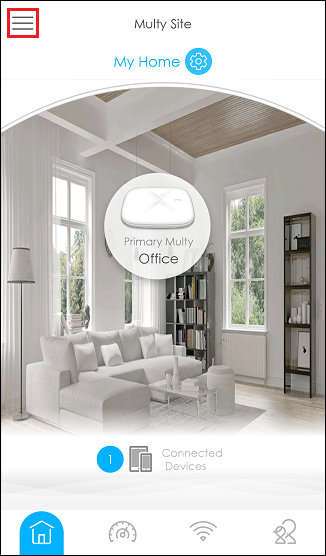 Step 1: Open the Multy app which is installed in your mobile device. Step 2: Tap the "Menu" icon. 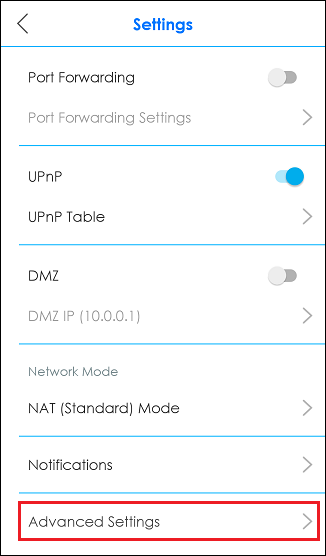 Step 3: Tap "Settings" in the menu list. 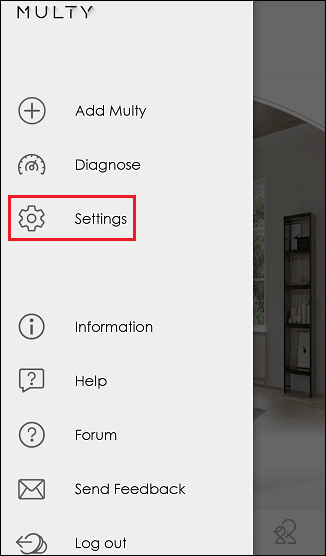 Step 4: Tap "Advanced Settings". 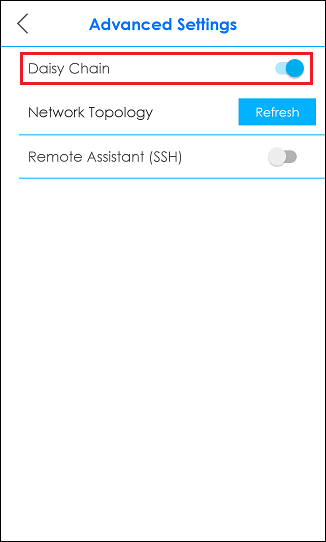 Step 5: Switch to enable/disable the Daisy Chain feature.